This Sun-baked coastal getaway is the second largest Kenyan city. Kenya is a Muslim country with a culture that blends south, east and central Africa; as well as drawing from the traditions of its former Portuguese, Arab and British settlers and invaders. Mombasa showcases perfectly the colourful and warm Kenyan spirit while being an economic hub for the country with a large port and Moi international airport. As the city limits kiss the east coat of Africa, you can relax on some of the best beaches in the world, float in the Indian Ocean, Scuba dive in Mombasa's breathtakingly beautiful expanse of Marine National Park and Reserve, or wander the thriving Kilindini Harbour. Further inland you can explore the ancient palaces, get up close with the stunning African wildlife, shop to your hearts content, or learn more about Kenya's rich, ancient, and fascinating history and culture. Once the sun begins to set, Kenya takes on a second wind, the city lights glisten against the harbour waters as nightclubs, bars, and restaurants throw their doors open. Enjoy a wide range of exquisitely prepared cuisines, but don't miss out on the traditional Kenyan dishes, or fantastically fresh seafood. 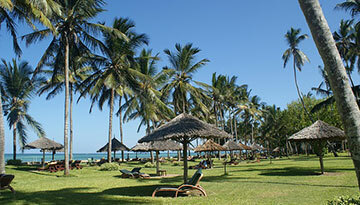 Ebookers offers a cheap flight tickets to Mombasa from London £370.92 return. 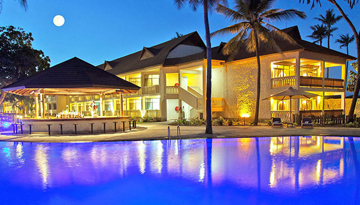 Amani Tiwi Beach Resort is a luxurious base in Mombasa & perfectly situated for all type of stay. 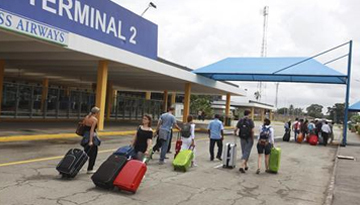 Fly from London - Mombasa & Stay for 5 nights with 4 star accommodation. Room Only.